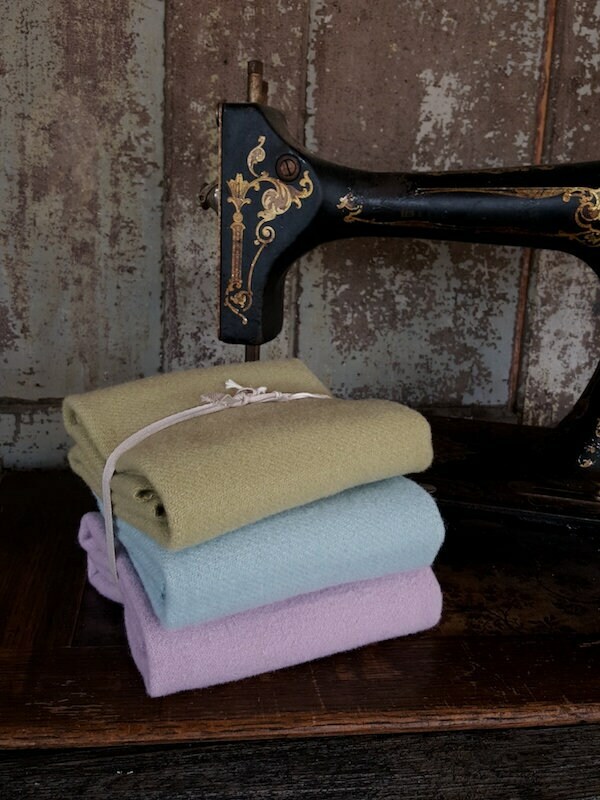 Wool Bundle (3pc) in a pastel color collection by Bunny Hill for Moda. Mill dyed pieces are 100% wool Off the Bolt. 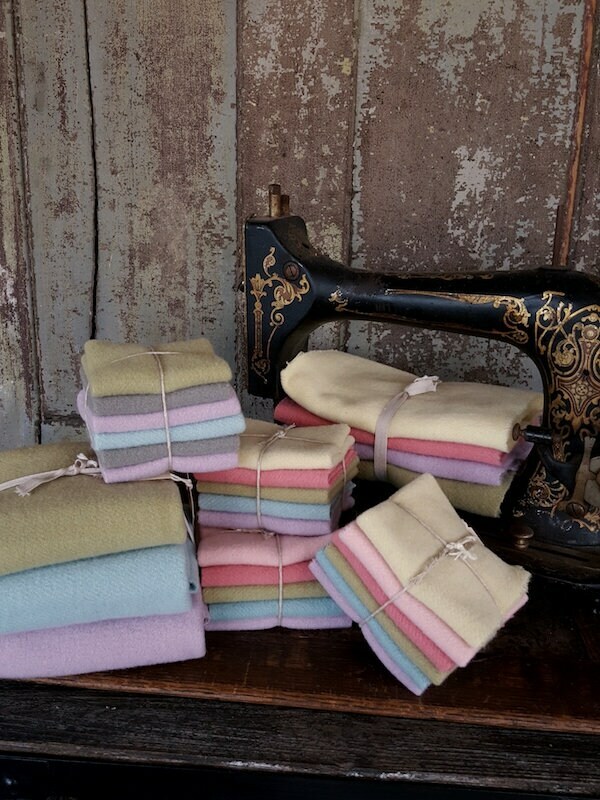 Pre-WASHED & FELTED giving them a soft plus feeling and making them ready for any craft project. View our other listings for various colors and sizes.